The Small Mosque was constructed in 1906-1907 by Sulaiman Abu Al-Hussein, a builder from As-Salt. Its layout integrates a large prayer hall with a narrow wooden mezzanine, a minbar and a richly decorated mihrab. 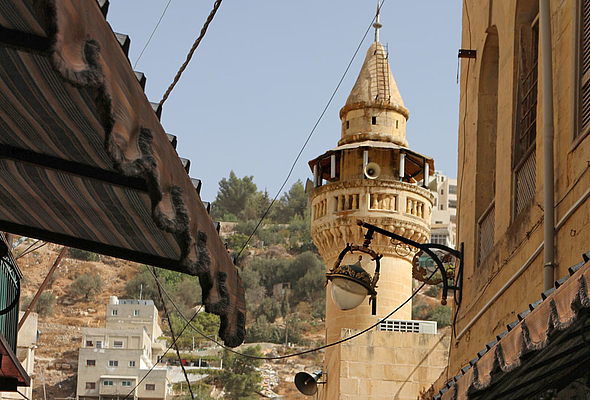 The bestknown feature of this mosque is a minaret, which is paired with that of the Hanbali Mosque in Nablus.